I will buy the product all the time!! I love to have different sweets around my home for myself and company that may stop by and the items I ordered work very well, thanks. Took this to work, just were gone! We love these for the great selections of candies! It has a little bit of everything we like in one order. Everyone is happy. I bought the tin so thought I should have extra to refill it. 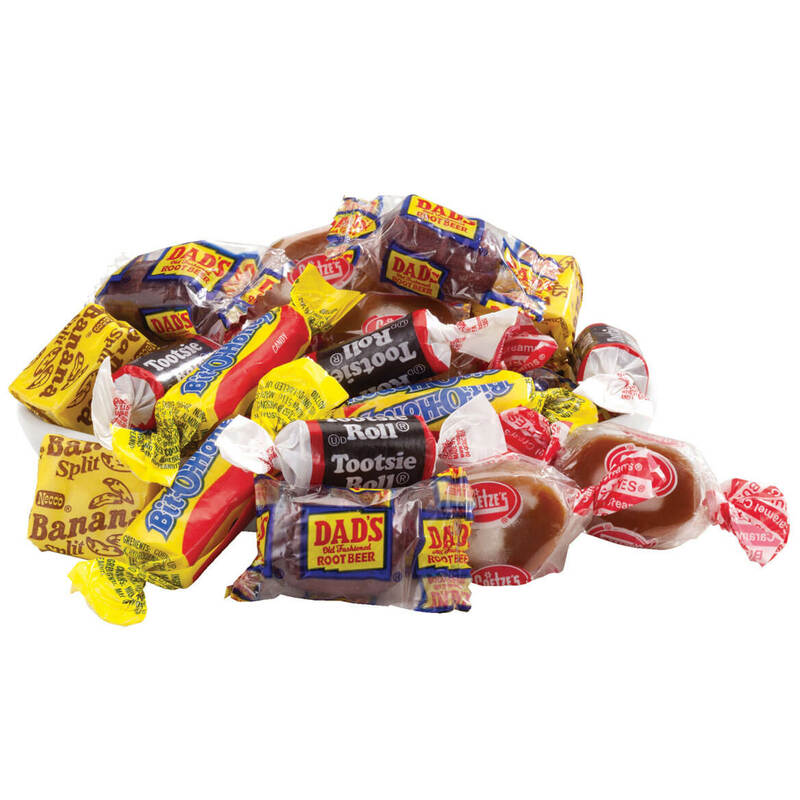 A family member remembers these candies from her childhood, and she loves nostalgia. I love, love that old fashioned candy and it brings joy to my heart remembering the past as a youth many years ago. I miss these candies and knew one bag would not be enough! We love these choices and had a coupon that needed to be used before the end of the year. This is all my favorite candy in one package. It has a variety of candies I remember eating years ago that are hard to find today in most stores. I love candy! I like shopping the easy way. I like staying at home and let my fingers do the walking. I wanted to taste all the candies I remembered when I was younger. This is a good way to do that. Because it is the candy I ate when I was a child and I love it..
Bought these before and love the variety! My grandchildren love a variety! Well, I guess my sweet tooth was calling. And the "Nostalgic" word before "Candy Mix" also was a draw. Bought this quite a while ago so of course, it is all gone. Enjoyed every bite. BEST ANSWER: Thank you for your question. There are no sugar alcohols in the candy. We hope this information will be of help to you. Is this 15 oz or 10? It's says 15 oz in the description and 10 oz in the features. BEST ANSWER: Thank you for your question. It is a 15 oz. bag. We hope this information will be of help to you.